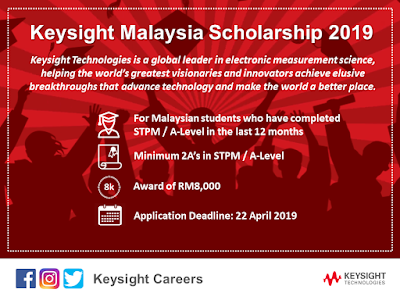 Keysight Technologies is a global leader in electronic measurement science, helping the world’s greatest visionaries and innovators achieve elusive breakthroughs that advance technology and make the world a better place. 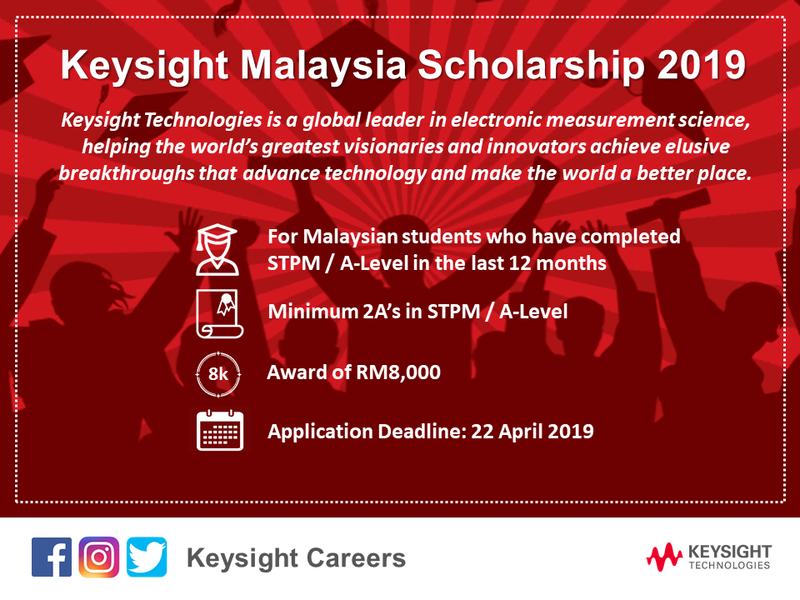 Keysight Malaysia nurtures future leaders by granting scholarships to outstanding Malaysians to support them in higher education. • Strong leadership experience will be an added advantage. • Shortlisted applicants will be interviewed.